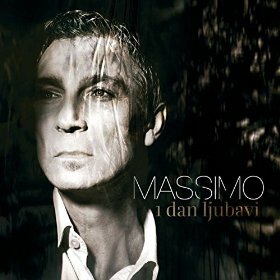 David played on a couple of songs (see Info tab) on Massimo's fifth album "1 dan ljubavi" that came out January 2015. On April, 3rd the titel track "1 dan ljubavi" (1 Day of Love, with David on guitar) went No. 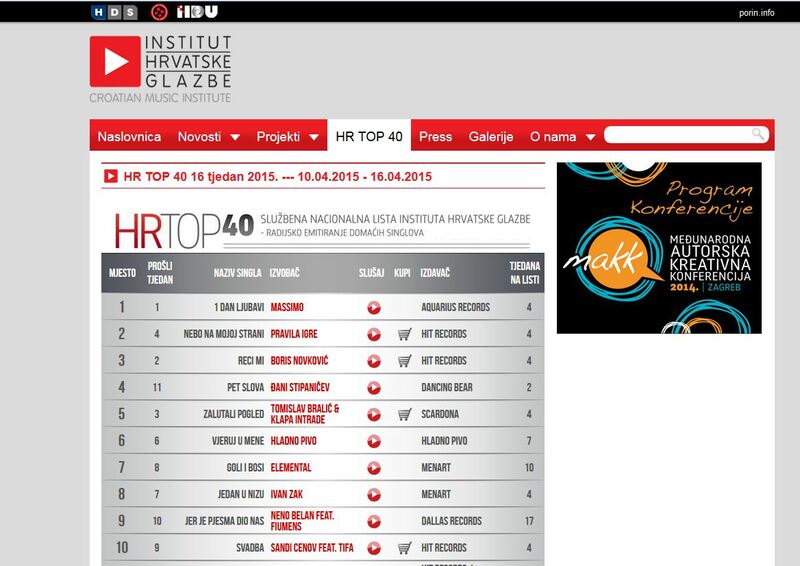 1 on Croatian HR Top 40 for a couple of weeks - congratulations to Massimo! On Valentine's Day this year (2015) David joined Massimo on stage in Zagreb Dom Sportiva. In the Tour Diary you find photos of a rehearsal/the show and some lovely portrait shots of the two. This spring David wrote about working with Massimo: "In the middle of last month I went to Zagreb for a few days to play for a singer called Massimo. He was launching a new album he's made. The show was in the arena there. He's well known and successful throughout Croatia, Bosnia and Serbia. I'd originally met Massimo backstage at a PG show in Belgrade (Serbia). I was introduced to him by a Serbian musician I've worked for who has an interesting outfit called 'Balkanopolis'. They play a rich mix of folk tunes with big arrangements. I immediately took to Massimo and we got on well. He then asked me if I'd play for him at some point. That point came last summer when I had a spare few days in my schedule. I headed over to Croatia and played on five tracks for him." The song giving the album its name went No. 1 on Croatian HR Top 40 on April, 3rd. And was No. 2 still midst of May.